With so many new and convenient ways to access books, there’s no reason you shouldn’t be reading. But with physical copies, it can be expensive to be constantly be purchasing new books. Blinkist should be a no-brainer for those of you have busy schedules and have trouble making time to read. They create 15-minute summaries of nonfiction bestsellers, so you can experience the best parts of a book with minimal effort. This is big news for both the app and the publishing industries. Blinkist doesn’t hope to replace books with these summaries. By making books more accessible to anyone and everyone, the summaries can even spark more curiosity and compel users to purchase the actual book. It’s also extremely useful for people who are fast-paced and just want the main points without having to sift through other material. Blinkist’s purpose is to appeal to all types of readers, so everyone’s needs are being met. Whether you prefer the traditional approach to reading or not, Blinkist is an undeniably practical app. To learn even more about Blinkist, you can check out various reviews online, such as Blinkist Review 2019: Book Summaries Worth It? +20% Discount Code. Reviews such as these are informative and allow you to test Blinkist out before fully committing. Audible is becoming a cult classic, and for good reason. They focus mainly on audiobooks and other types of spoken entertainment. By signing up with your Amazon account, Audible lets you peruse audiobooks from a diverse range of genres. There’s truly something for everyone. There’s no denying the value in reading, but not everyone retains information in the same way. Having books read aloud is more powerful for some people. It’s also more convenient because you can trace the text with much less effort. Some books are even read by the author’s themselves, which adds another layer of personality to the text. Their collection of audiobooks is one of the largest available, so there’s plenty of content to discover without getting bored. Once you buy and download audiobooks, they’ll be stored in your library forever, regardless of whether or not you keep your membership. For only $11.48 a month, you’ll get two credits to use on any audiobooks of your choice. There’s also an annual membership plan that allows you to choose between 12 and 24 credits, which you’ll be given access to right away. 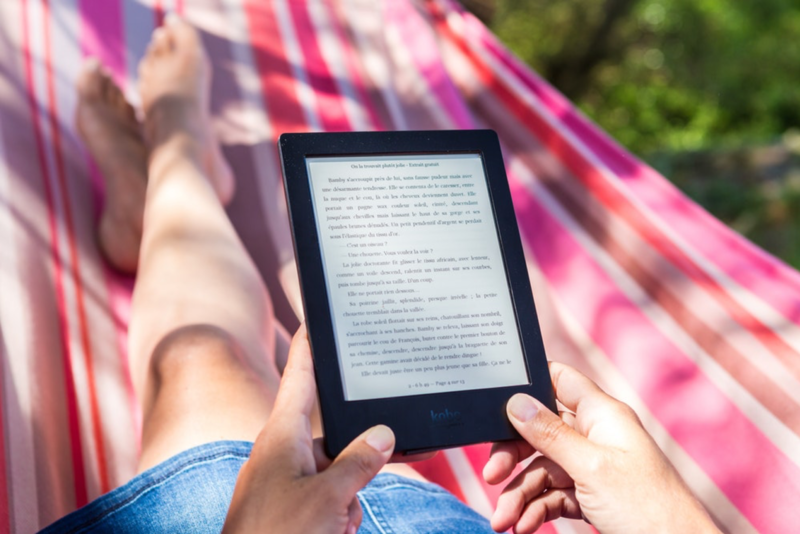 Amazon Kindle’s success is unmatched, and it has earned the title of the market’s most popular reading app. The app is available on all devices, and it’s perfectly optimized for each. Purchasing and downloading is done directly through Amazon, and the books you buy will immediately be downloaded to the app. Should you want it, there is an Amazon Kindle device available as well. This piece of tech offers 2GB of storage, which gives you room for well over 1,000 books. Some features of this device are the ability to customize the font size of books, realistic page-turning, annotation/highlighting, and syncing compatibility with Amazon cloud. They have an array of amazing eBooks that start at the low price of .99 cents, but there is also a Kindle Unlimited membership for avid readers. With this option, you can access every book in their library for a monthly fee of $9.99.